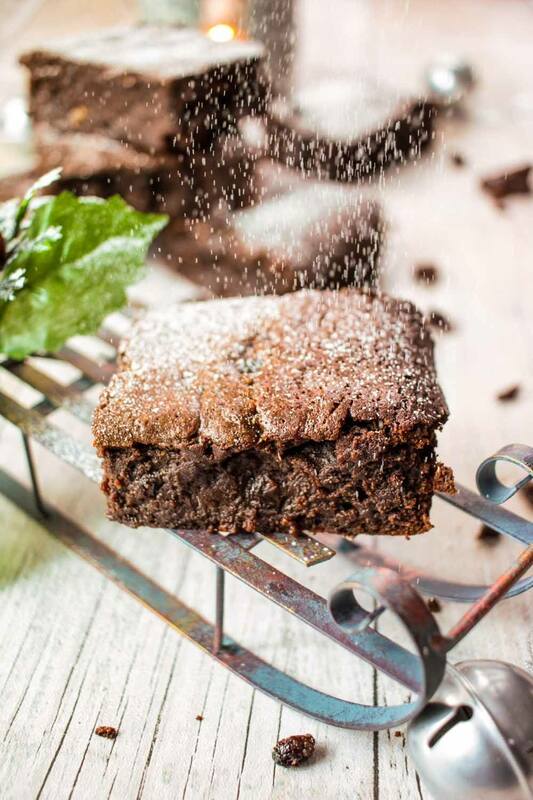 Mince pies meet brownies in this heavenly festive recipe! Everyone will love these Christmas brownies. Pour your chocolate mixture into the frothy egg mixture and whisk for a few minutes until every is combined. Sift the flour and and cocoa powder into your mixture and stir with a wooden spoon until you have a nice thick mixture and everything is combined. Spoon the mincemeat into your brownie mixture and gently stir it in. Bake in the oven for 25-30 minutes, make sure you check them with a metal skewer and the mixture is not wet, they may be a little sticky though due to the mincemeat. Dust with icing sugar, serve and enjoy!